Caleb was born into a Christian home on July 20, 1986, and was born into the family of God on November 9, 1994. At age 11, he was called to preach. 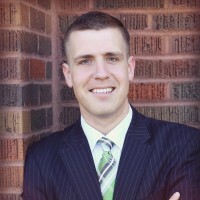 While attending Oklahoma Baptist College, Caleb traveled on the men’s singing group for four years and also worked at the Windsor Hills Baptist Church for two years. God has burdened his heart to spread the fire of revival across America.